Learn skills to help make school easier, discover unique approaches to anxiety and ADD/ADHD challenges and uncover self-regulation and leadership tactics disguised as horseback riding lessons. Working with horses can help make our unhealthy patterns easier to see. Practicing more effective skills in a non-judgmental arena with immediate feedback reinforces healthy behaviors. Scars from military service often go much deeper than skin. Working with horses can help change the subject from what you can’t do to what you can. Come feel like a person again. Through our history, horses have been helping us march into battle, transport heavy things and plow our fields. They’ve helped us run faster, jump higher and feel more powerful than we could on our own. Now people and horses are teaming up to help us become better version of ourselves. 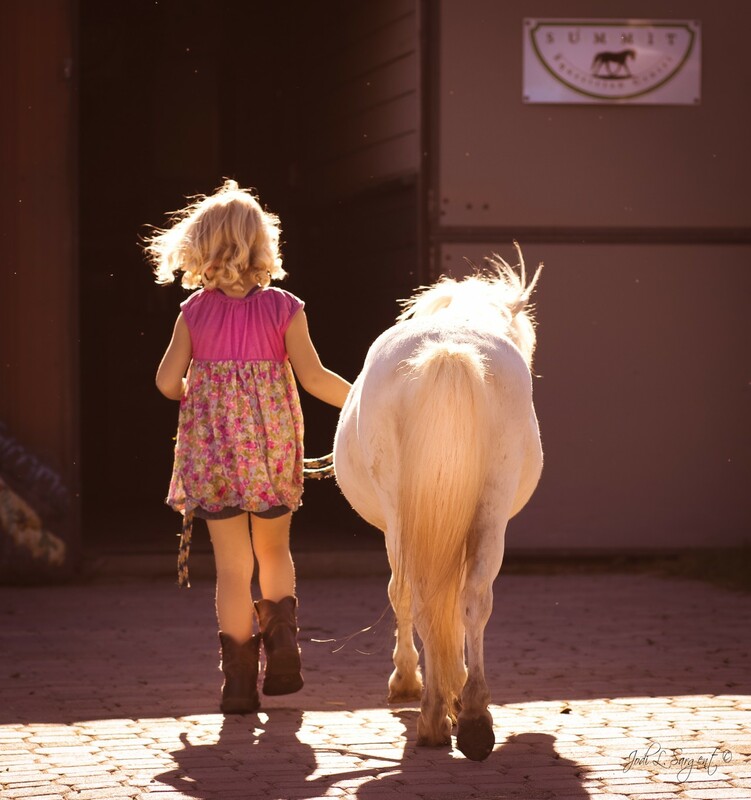 Come out to Summit Equestrian to see all the ways getting out to our barn and working with our horses can impact you. 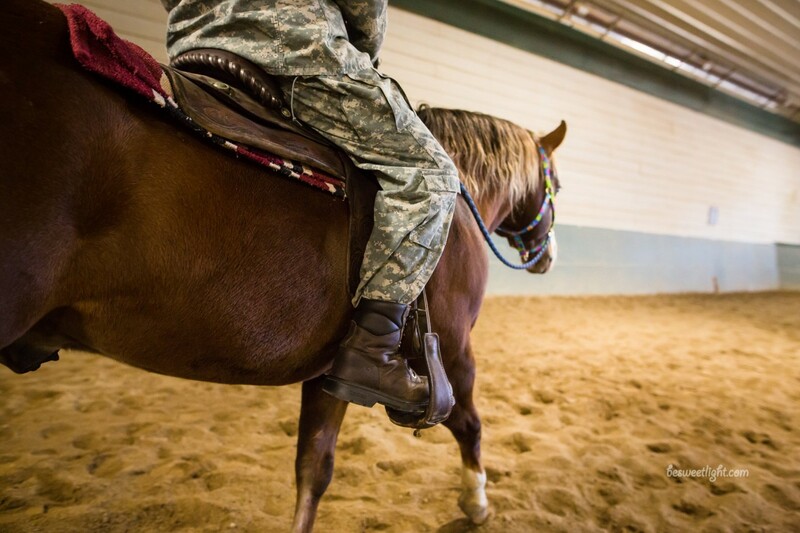 When we sit astride a horse, we use a lot of the same muscles we use when we walk. It’s a great way to strengthen our core while stretching and toning other muscles, while simultaneously improving fine motor skills and balance. Horses know what we feel before we say a word. Working with horses can expose emotional patterns we didn't realize we had. Developing a healthy relationship with a horse in a judgment-free arena is a great way to strengthen human relationships. 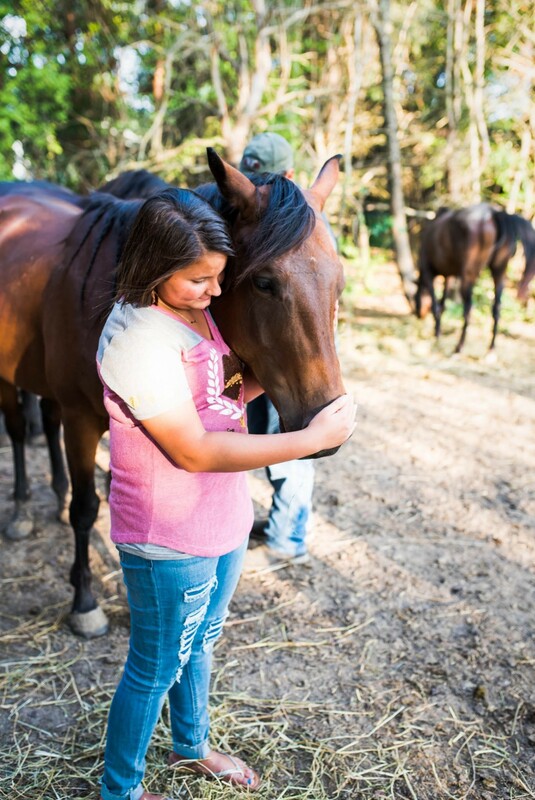 Our clients on the Autism Spectrum gain a variety of value from their time with our horses. 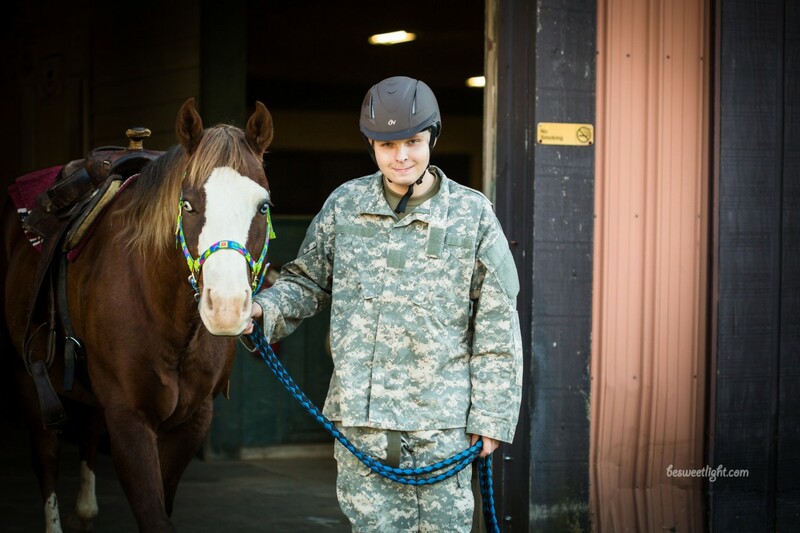 Through riding and creating connection, our clients are able to learn how to focus more clearly. Social skill building in the arena with horses makes an impact. When you learn the importance of respect, direction following, creative thinking or leadership from a horse, it sticks with you. Your support helps keep our herd at its best! Thank you for helping us help our community. After serving two tours in Iraq, Steve came home in 2005 a different person. 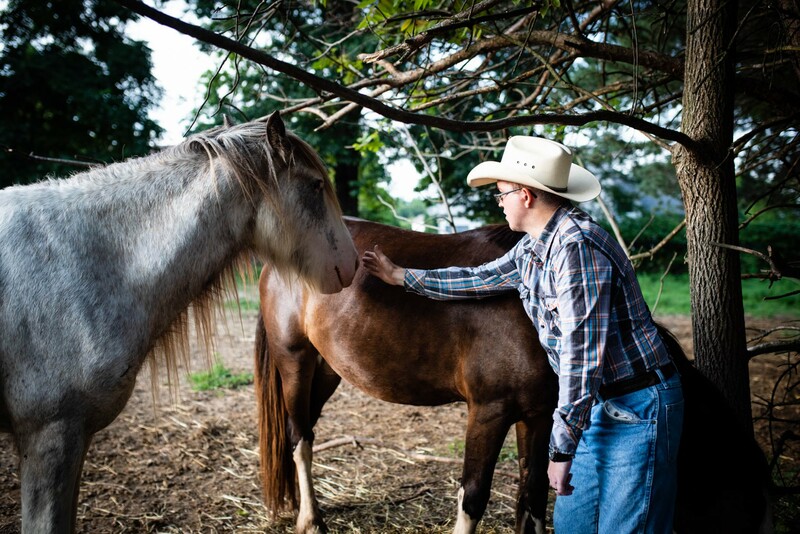 He found his passion in working with rescue horses. In 2006, he sustained a traumatic brain injury that left the left side of his body paralyzed. When he first came to the barn, he was in a wheelchair. Soon, he graduated to a walker as his balance and strength improved. In riding, Steve was able to regain core strength, stretch and tone his body in ways traditional therapy could not. He recieved more than the physical healing though, he found a reason to leave the house each week. He found a community that he felt like he belonged to and accepted him for who he is, regardless of what his body can do. Today, Steve walks without his cane and can mount his horse from a regular mounting block rather than a ramp or lift. More importantly, he comes by on bike rides with his son, comes to volunteer when he’s not golfing and has a place he knows he belongs. We just acquired Mojo, a Tennessee Walking Horse, with Steve in mind. Mojo has a quick running walk rather than a trot so Steve can go faster without getting bumped around. Check in with us in a couple months, I imagine Steve and Mojo will be cruising around. Maybe you just love horses, and that's okay.